Gum Recession- "Long in the Tooth"
Our Periodontal/Dental Implant Practice is devoted to restoring and enhancing the natural beauty of your smile using conservative, state-of-the-art procedures that will result in a beautiful, long-lasting smile! Periodontics means "around the tooth". Who cares what the house looks like unless there is a good FOUNDATION? We want you to have a beautiful smile, ideal occlusion, and function! "Beautiful Smiles Through Periodontics & Dental Implants"
A standard of excellence in personalized Periodontal/Dental Implant care enables us to provide the quality dental services that you deserve. We provide comprehensive Periodontal/Dental Implant treatment planning and work with your general dentiist to achieve your optimal aesthetics. We want to Respect Your Time, and we shall be on time. We want you to Respect Our Time and keep your appointments as scheduled. We are constantly taking continuing education classes and utilize "cutting-edge technology" to get the most ideal outcome for your periodontal/implant needs. 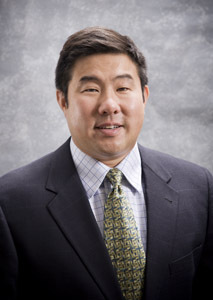 Dee Christiaan Nishimine, D.D.S., is a Diplomate, American Board of Peridontology. He has been providing periodontal/implant therapy for patients in the area for over 10 years. He attended California State University Fresno, University of Oklahoma Dental School for a D.D.S. degree, and completed his specialty residency in Periodontics at University of California at San Francisco. 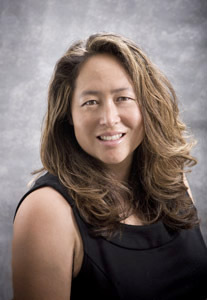 Sophia Y. Tseng, D.M.D., has been providing periodontal/implant therapy for patients in the area for over 9 years. She attended the University of Virginia for a B.A. degree, University of Louisville for her D.M.D. degree and completed her specialty residency in Periodontics at University of California at San Francisco. Our periodontal implant team is composed of outstanding people who care about thier patients. We work very carefully with your referring Doctor who has entrusted our team to provide the needed specialty services. Julie, Office Manager, has a great knowledge about dentistry and has a passion for periodontics and patients. She oversees the office and makes sure that all of your therapy is very pleasant and that we communicate with you as well as your referring Doctor. She will be able to explain what is needed to achieve your goals for your health and your smile. She will be able to coordinate your appointments and answer any questions regarding our fees and your dental insurance. Gina, RDA, Registered Dental Assistant, will be helping Drs. Nishimine and Tseng during the course of therapy. She has a great knowledge about periodontics and implants and can answer all of your questions. She will be spending a lot of time with your brushing and flossing instructions and she wants to show you where you might be missing so you can improve your oral health and keep a beautiful smile. She is fluent in Spanish which is of tremendous value for our Hispanic patients. Should a dental emergency occur, we will see you IMMEDIATELY. You can reach us 24 hours a day at (559) 229-6557. As a practice, we are true believers that preventative care and education are the keys to optimal dental health. "An ounce of prevention is worth a pound of cure." We strive to provide “periodontal health care” vs. “disease care”. That’s why we focus on thorough exams – checking the overall health of your teeth and gums, performing oral cancer exams, and taking x-rays when necessary. We also know that routine SPT's, daily OHI of brushing and flossing, periodontal probings and digital x-rays help prevent further periodontal disease and breakdown. Not only are we focused on the beauty of your smile, we’re also concerned about your health. A review of your medical history can help us stay informed of your overall health, any new medications, and any illnesses that may impact your dental health. Infection control in our office is also very important to us. To protect our patients and ourselves, we strictly maintain sterilization and cross contamination processes using standards recommended by the American Dental Association (ADA), the Occupational Safety and Health Administration (OSHA), and the Center for Disease Control (CDC). We will be happy to provide a tour of our sterilization area. As your dental health professionals, Dr. Dee Nishimine, & Dr. Sophia Tseng want you to be confident knowing that we are a team of highly trained and skilled clinicians. We pride ourselves in providing the care you need to keep your smile healthy. To give you the best possible service and results, we are committed to continuing education and learning. We attend dental lectures, meetings, and dental conventions to stay informed of new techniques, the latest products, and the newest equipment that a modern dental office can utilize to provide state-of-the-art dental care. Also, being members of various professional dental associations helps us to stay abreast of the changes and recommendations for our profession. We thank you for allowing us to take care of your Periodontal Implant needs and look forward to serving you.